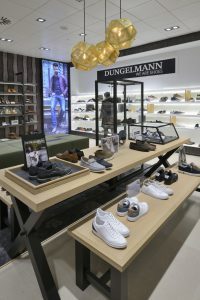 The WSB retail designers designed a shop-in-shop speciality shoe shop for Dungelmann Shoes and Berden Mode in Berden Mode’s Uden store. A situation that makes all parties happy: more traffic, higher shoe sales, mutual reinforcement of the brand experience. The concept mostly has a light character with a few dark accents. In terms of materials, the ladies’ shoes department is deliberately slightly lighter than the gents’ department. The shop-in-shop concept has a pleasant combination of natural, romantic and industrial accents. 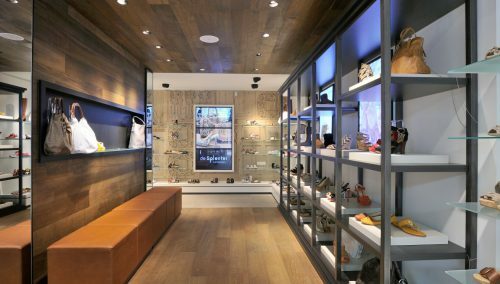 Do you plan to renovate or update your store concept? Do you want to develop and roll out a profitable shop-in-shop formula? 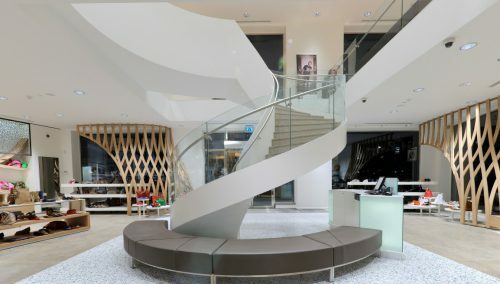 WSB is leading, both in the Netherlands and abroad, in design and realisation of commercial shop-in-shop concepts. 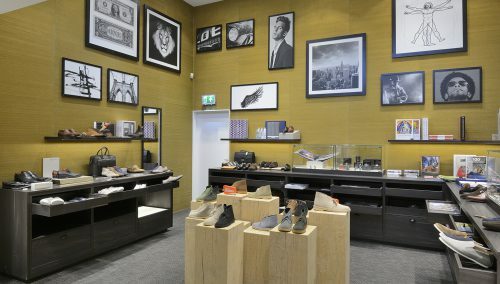 Alternatively, have a look at our shoe shop interior projects. Please call us on +31 33 2771 714 for an inspiring brainstorm session.